Last Spring Season 2015, Kyoto Animation (KyoAni) tried its hand at another music anime. This time around, Hibike! 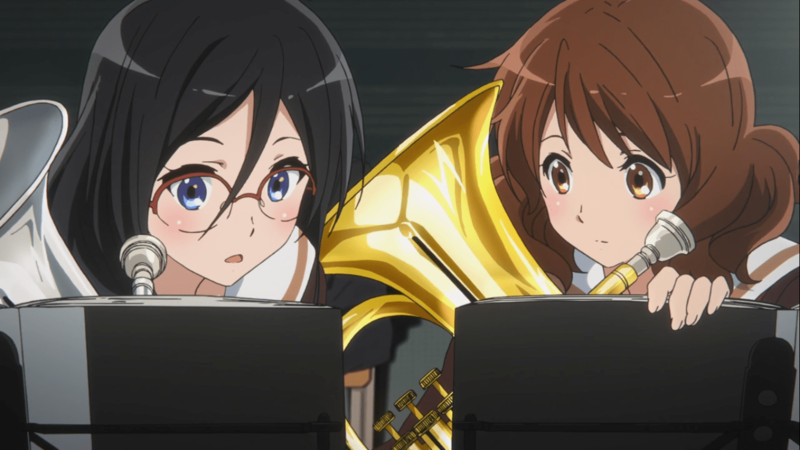 Euphonium (Sound! 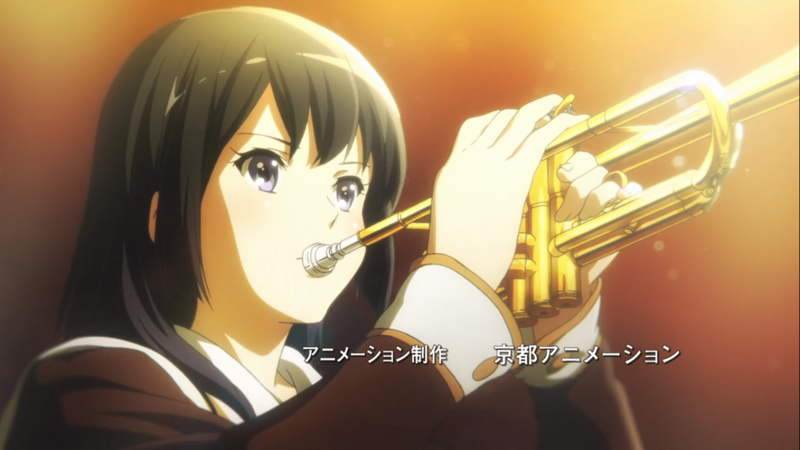 Euphonium) was about a high school concert band. 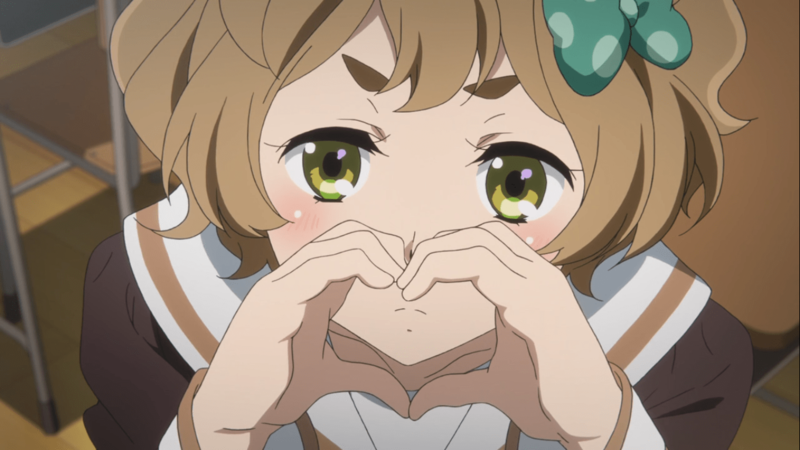 Initially viewed as another anime about cute girls doing cute things, KyoAni’s latest outing proved to be quite different from those expectations. Hibike! 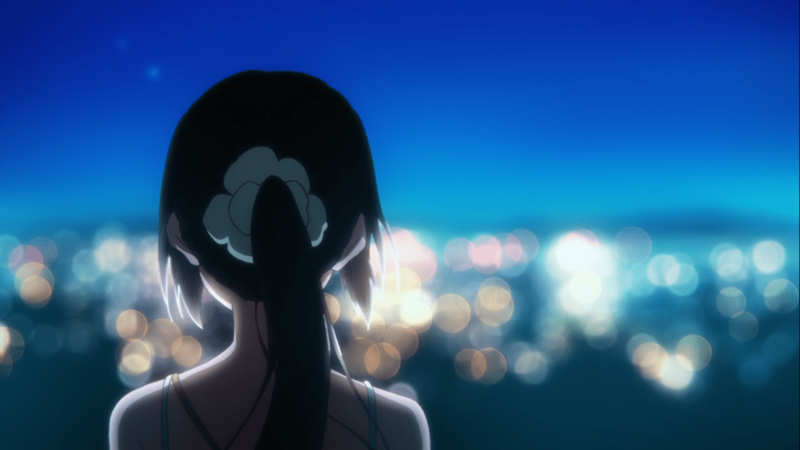 is another feather in the cap of Kyoto Animation. The thirteen episode series is short, concise and accomplished everything it set out to do, making fans of the show desperately ask for a season two. Based on a novel by Ayano Takeda and directed by veteran Tatsuya Ishihara, Hibike! 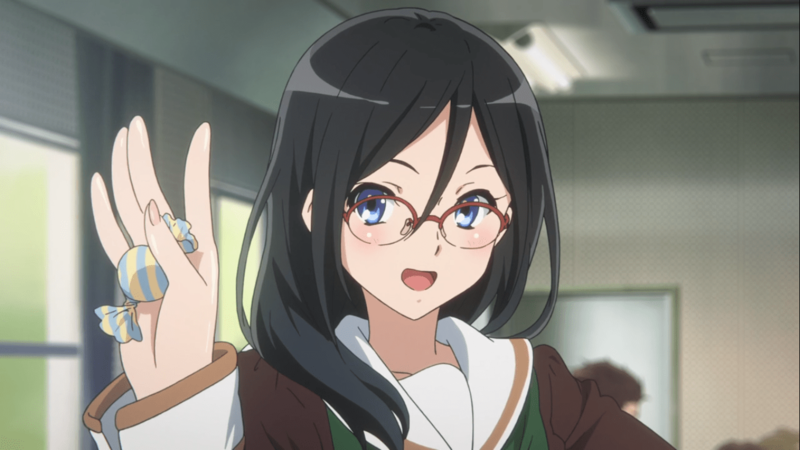 follows Kumiko Oumae, as she enters high school freshman year, along with the energetic Hazuki Katou, the adorable Sapphire Kawashima, and the cool Reina Kousaka. 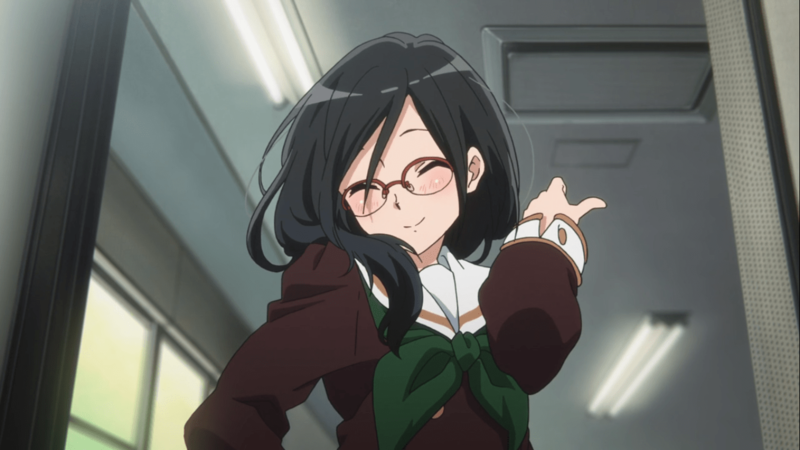 Kumiko is a breath of fresh air, reminiscent to Saekano’s Megumi Kato. She’s wonderfully complicated in that she’s callously cynical and deeply empathetic at the same time. She’s socially awkward, often saying the wrong things at the wrong times, while, at other occasions, being unable to say anything at all. Seeing her try to navigate several situations is always a wonder to behold. Hazuki plays the role of the friendly and cheerful genki girl. As the beginner of the cast, she helps paint a picture of the inner workings of the band for the audience. Lastly, Sapphire fills the show’s quota for moe, highlighting KyoAni’s classic cuteness and humor. She contrasts the other characters as the eager beaver of the gang, unashamedly a fan of the band. Aside from the four main girls, we also have the supporting cast that show interesting depth and bring levity to the group. Vice-President Asuka steals the show whenever she’s on screen with her eccentric disposition. The kind President Haruka and the humble Trumpet Section Leader Kaori are Asuka’s closest friends and have the unenviable task of keeping the club together. The other major supporting characters range in temperament, from the apathetic Natsuki and the stoic Gotou to the annoying Yuko and the supportive Aoi. Although only less than a dozen of the entire band have distinct personalities, every single one of them has a unique visual design. This is amazingly impressive, as the band itself comprises of more than 50 members. Club advisor Taki-sensei rounds off the sizable cast of the show. Looking like an anime Ben Whishaw, Taki-sensei is both stern and apathetic, much to the chagrin of the usually laid-back club. Look at that attention to detail! Hibike! successfully captures many of the quirks and issues that music organizations have. Much of the heavy drama stems from the friction between what the club was and what the club wants to be. Overall plot direction, however, is nothing new. We see an underdog striving to be the best and seeking to compete on the biggest stage of them all. When the concert band club votes to take a more serious route to the National Competitions, we see delicate issues brought to the foreground, such as seniority versus talent and standing out versus being part of the whole. Transitional periods are always difficult and this is further magnified by the confusion that comes with being a teenager. Although Kumiko is not always the center of the story conflicts, she is nonetheless pulled in and sometimes brings up old and uncomfortable memories. Hibike! does balance the drama with several lighter moments that are characteristic of slice-of-life anime, KyoAni works in particular. Traditional high school anime staples are present like the annual festivals and romantic confessions. 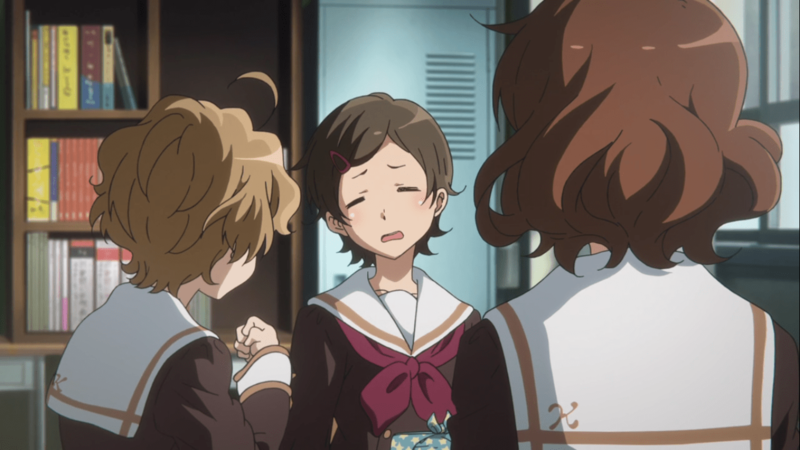 The interactions between Kumiko, Hazuki, and Sapphire, among others, are very funny. However, romance in Hibike! can polarize fans, as it is done in a very obtuse way. Hibike! is first and foremost billed as a music anime and it does not disappoint. The show masterfully portrays the development of the club as it grows from mediocrity to maturity. The band starts out poorly, but slowly improves with every episode. By the end of the show, the concert band sounds like a cohesive unit ready to give its all. The solo features are all very strong and moving. The scenes that feature each instrumental section practicing are crisp and distinct. The full orchestral scores deserve to be heard on the best audio systems. In between the practice and performance sessions, the music takes a more low-key role, used primarily to emphasize the emotions of dramatic scenes and the light-heartedness of the comedic ones. The OST for this show is a no-brainer purchase for music fans. They’re a marching band too! As expected, the production value of Hibike! is top-notch. The backgrounds are beautifully rendered scenes. The animation is smooth and the camera work is superb. Scene construction is varied, ranging from a panning shot of a passionate band in action to a girl, barely on screen, pouring herself to a kindred spirit. Utmost care is given to even the smallest detail, from the way a character drops her shoes to how her hair puffs up when flustered. 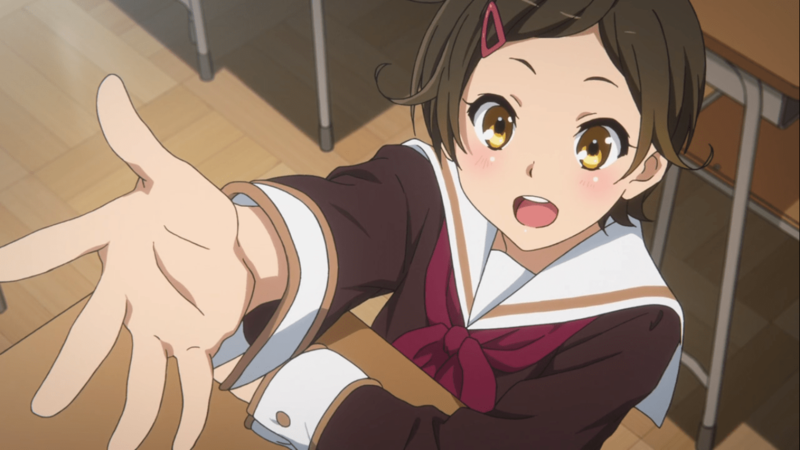 Hibike!, as great as it is, has faults. The initial episodes have a tendency to drag, focusing a bit too much on exposition and set up. The quality music scenes are too few and far apart, and, at one point, cut short. Sapphire Kawashima could use more work as a headline character, as she is mostly a bundle of tropes in a moe form. Reina’s inclusion in the story could have been done faster. Taki-sensei’s motivations could have been fleshed out more, although I understand that this could be used as material for a potential season 2. Lastly, as this is still a high school setting, expect tropes and situations that can infuriate those who are not fans of the style. With refreshing characters, fantastic aesthetics, and excellent music, Hibike! easily pushes its way to the top as champion material for Anime of the Season: Spring 2015. 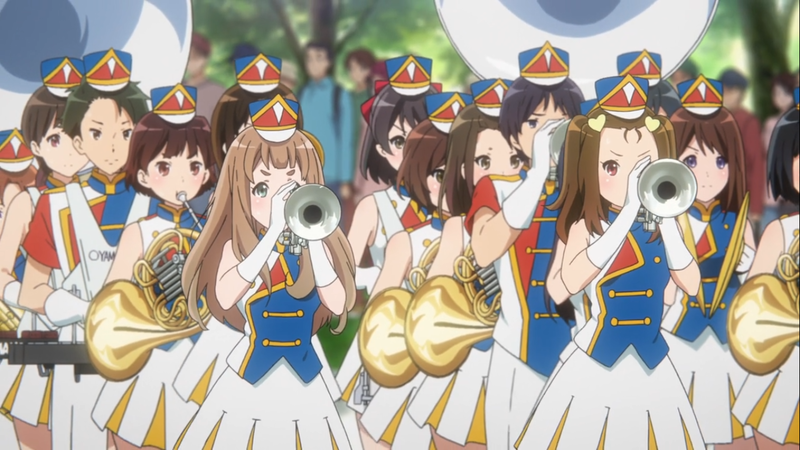 As someone who has been a member of several music organizations, this anime truly reflects the heart, soul, struggle and joy of making music together. 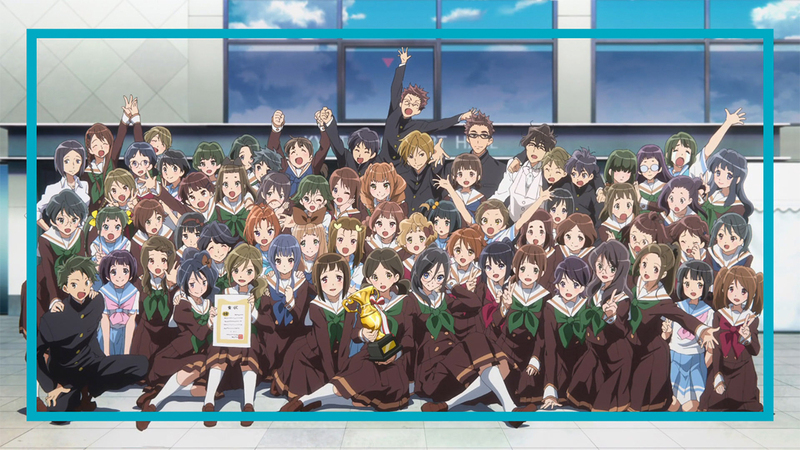 If you were ever a part of a music club, appreciate good music, or even simply love quality anime, Hibike! 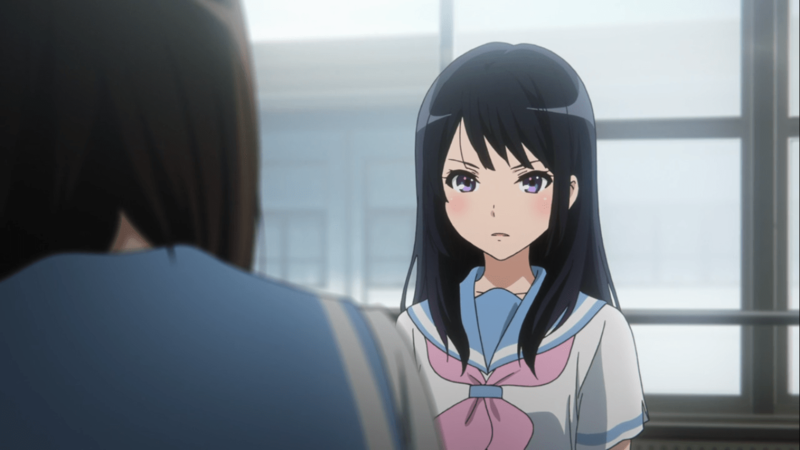 Euphonium is a must watch! Best Girl Asuka is inviting you for fun in Hibike! 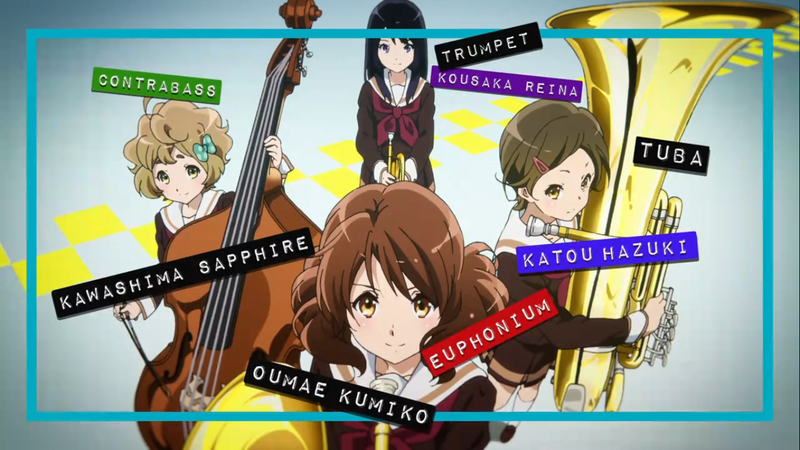 Euphonium!